This story always leaves me breathless and begging for more. Aaaaarh, such a wonderful frustration! I must confess that this series is killing me slowly, because how in the world am I going to wait for god-knows-how-long until the last one comes out? It’s not like this is a more cruel ending (you know the drill: heart-breaking, gut-wrenching, hair-pulling) compared to the last one, but the thing is that it left me with the most important question unanswered.. Why?! Truth being told, I can never have enough of Paula’s world – so rich and not-so-easily predictable. It’s not a secret that I love (and I mean LOVE!) the series as a whole or that I think that the characters are absolutely amazing, so that I want to befriend them all. Just imagine my happiness when I got this beauty in my hands (as I was highly anticipating it and it also happens to have one of the most beautiful covers in the world); just imagine the river of emotions floating through my veins at spending more time with my favourite characters (Gaby, Jude and even Rafa – one of the best trio out there) and all the others – as Shimmer is even more character-driven than Haze. Any genius out there to build me one, please? I won’t be able to tell you much, as I don’t want to spoil anything for you, but there are so many great things about this story, I’ll just try to name a few. 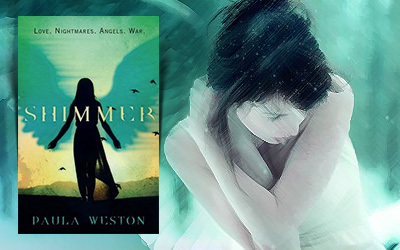 – The pacing is slow, yes, but it builds up page by page and it creates a great connection between the reader and the (so many) characters. All the past reactions to Gaby make sense now, even the ones that didn’t seem to ring right the first time I read about them, in the previous books (like ‘we love you and all, but we will leave you to fend for yourself.. in a cage.. with a hellion!’). – There is plenty of action too, there is a lot of fear growing page after page while still not knowing much about Rafa and Taya, nor how will the two groups manage to save them without killing each other in the process. All the tension gives you that feeling that any moment now something will snap and they will all go to hell (no pun intended). – And there’s also a truly emotional side of this book. It is in Gaby’s fears regarding Rafa, in her feeling like an outcast (which is ironic considering that there are actual Outcasts in the equation), in the strong friendships that never died, in how close she and her brother are.. Even without memories her relationship with Jude is stronger than ever, even without his memories he falls back into his old life effortlessly, while Gaby struggles to understand how she and ‘Gabe’ could ever have been one and the same. Did ‘Gabe’ ever feel like she belonged, was she a good or a bad person? And the question that no one else seems to know the answer to – if she, Rafa and Jude were inseparable (with a few additions here and there), what in the world made that change so drastically? – One last thing, you can rest assured that the book is filled with turnarounds that throw things off course every now and then, making the readers question even the things they thought they knew. 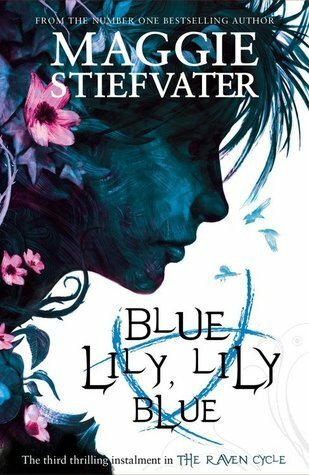 I’ll be honest here, I think it would have been better if I re-read the other 2 books right before starting this one, as there’s been so long and so much happening though the series, with these many characters, and my mind was a mess (quite similar to Gaby’s). What I love about this series is that all characters feel real and in no time I started, once more, to get attached to many of them; I liked to see which sides they took in each situation and why; I loved to see their world crumble when another secret came out; I liked to watch them come together & fight together as they should. Gaby is a wonderful heroine, strong and compassionate. She can be a great friend and also a great leader (though there seemed to be so many bumps in her way). Her love for Rafa is beautiful and at times a bit heart-breaking, so it’s no wonder she was a mess while he was away, hurt and in grave danger. Though there are some characters that I hold dear (Maggie, Jason, Ez, Eak), one character shined brighter than the others: Micah. He was so nice, in the present and the past, I really enjoyed some scenes with him. 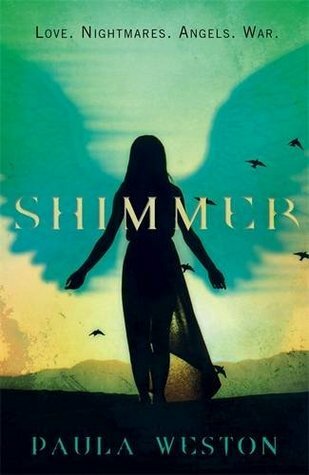 Though I felt Rafa’s temporary absence with every cell in my being, Shimmer is a great addition to an even greater series. The writing is beautiful, the world.. well, I still can’t quite wrap my head around it all, but the puzzle starts to take shape and it’s funny because I feel a lot more ‘puzzled’ than before. 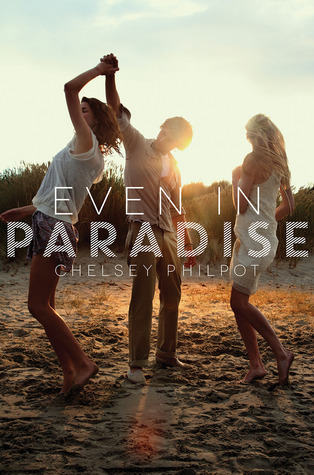 When it comes out (25 June AU, 3 July UK), pick it up folks! I was about to say something about the book, but I’m gonna compliment you instead because you look really cute in that pic, with the book.